Over the past few weeks, I’ve quietly watched fellow Christians complain about the secularization of Christmas. From “Happy Holidays” to Starbucks red cups, it doesn’t take much to spark an outraged tweet or post. Just the other day, I passed a church handing out literature from the middle of the street. The title? “Down with Santa. Up with Jesus.” In scanning all the problems our society faces, I’m sure that knocking off St. Nick is right at the top of Jesus’ priorities. There is a real problem that exists when people start blaming a secular culture for not preserving a Christian message. As Andy Stanley has often said, we can’t expect non-Christians to behave like Christians. I’ve never heard business-owners blame customers for not purchasing their products. They understand that if people aren’t interested, there’s something wrong with the business. The same is true of the Church and its message at Christmas. If people aren’t interested, the fault lies with us. When did the Church stop taking personal responsibility for advancing the message of Christmas? When did it become acceptable to blame a secular culture for secularizing a Christian holiday? To say that Christ has been removed from Christmas points to the failure of the Church not the fault of our culture. All that being said, your church has an incredible opportunity to communicate the gospel message during this and every Christmas season. From January to November, you have to work hard just to get people’s attention. 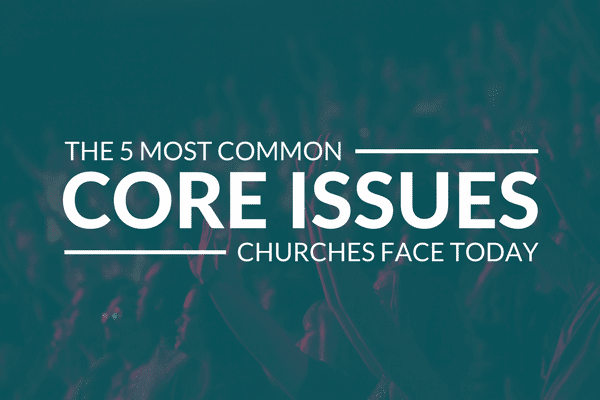 But for one month, your entire community is focused on a celebration centered around your message. From parades to parties to endless decorations, people are constantly directed to think about Christmas. It is our responsibility to make sure that they are reminded of its meaning. This Christmas season, let’s commit ourselves to not acting surprised when someone says “Happy Holidays” or removes the lyrics from a song. Instead, let’s take personal responsibility for advancing the message of Christmas. Rather than blaming someone else for not doing our work for us, let’s spend our energies investing in the very thing Christ entrusted to us. Build Christmas services to truly engage non-Christians. Create environments that inspire the curiosity of non-Christians with the story of a God who sent His son as a baby in a manger. Encourage your church members to shop at the businesses that they want to boycott. Help them see the value of building relationship and gaining influence with people who believe differently. Model the message by serving the world around you. Look for opportunities to serve another shopper in distress or a person in great need. Use your social media account to encourage hope and acts of service. Share more than just pictures of new gifts and recipes. Help them avoid the “hustle and bustle” and offer peace to those around them. What are some other ways in which church leaders can use their influence to communicate the message of Christmas? Let’s stop blaming our society for what is our responsibility and make it our aim to communicate hope.